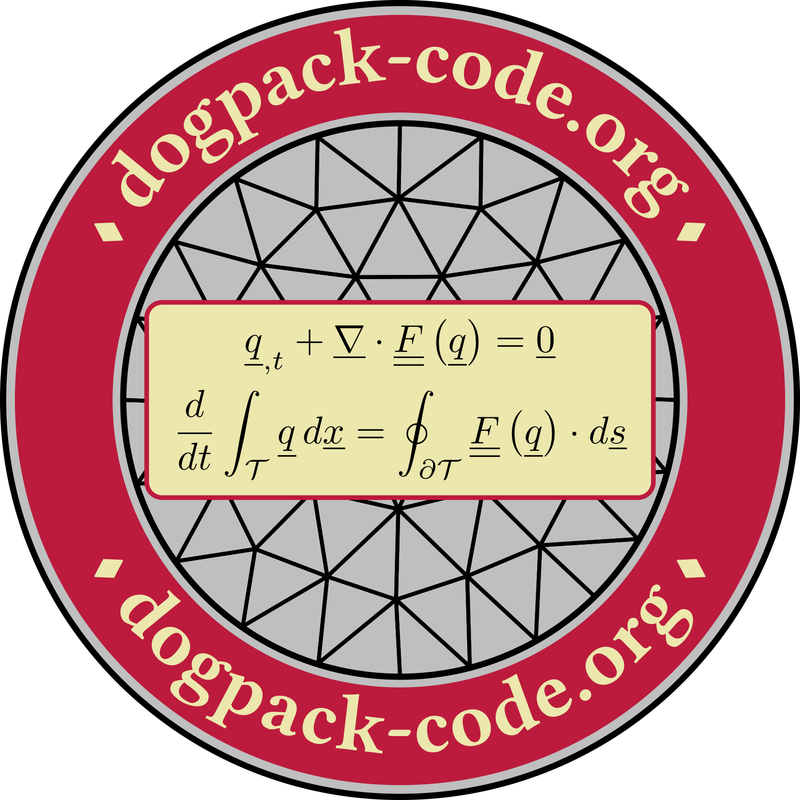 DoGPack is a software package for solving hyperbolic conservation laws using a modal discontinuous Galerkin discretizations. It has been designed with easy extensibility, performance, and exploration in mind. The main parts of the code are written in C++. This code outputs to files that can be read and processed by MATLAB or Python scripts that are part of the DoGPack distribution. Solves general hyperbolic PDEs in 1D and 2D, including both Cartesian and triangle-based unstructued grids. Basic user inputs are handled through a parameters.ini input file. Several examples including advection, shallow water, compressible Euler, and ideal MHD are part of the current release. Vizualization is done through MATLAB or Python scripts that are part of the DoGPack distribution. You can get the latest development version of DoGPack from https://bitbucket.org/imsejae/dogpack. If you have any issues or need help using DoGPack, send send e-mail to the discussion group. In order to run examples on unstructured meshes, DoGPack requires a mesh generator that produces a mesh in a format that can be read by the DoGPack routines. MeshGenC++ is such a mesh generator and can be obtained at the following website: http://www.dogpack-code.org/MeshGenC++/.